Michael Ewart – Original Art Click an image to see artwork framed. 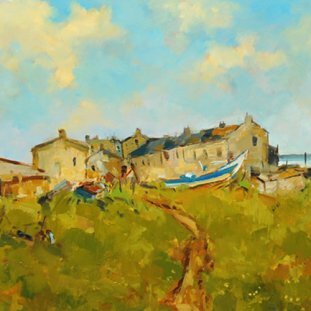 Michael is a well established and highly regarded British painter, and we…. ….are delighted to introduce him as a Gallery Artist here at Morningside Gallery. 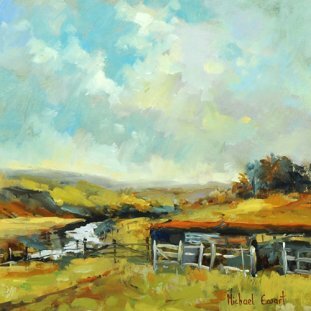 Michael was born in Northumberland, and was much inspired by the beautiful landscape surrounding him as a young man. 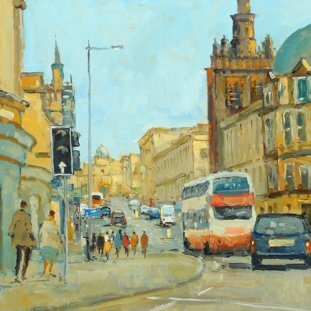 He now draws inspiration from further afield, particularly from his travels through Europe. Also known for his wonderful figurative painting, he portrays people engaged in situations such as at a chatting at a cafe, waiting at a train station, playing musical instruments (he often paints orchestras), or relaxing on the beach. 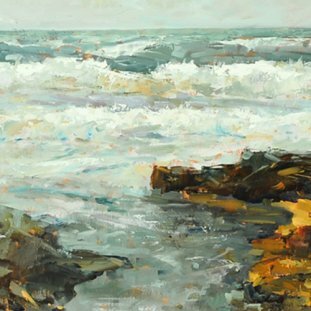 He paints exclusively in oils, enjoying the feel of the paint on the board or canvas, and he continues to take great pleasure in the actual act of painting. Michael is now retired from a career in teaching, and paints full time.